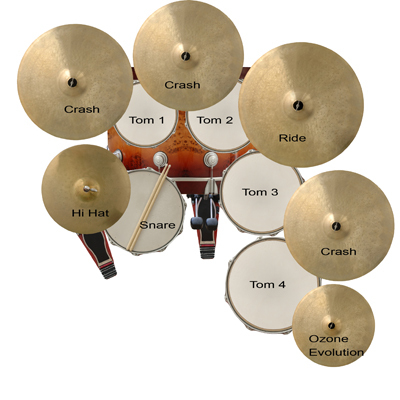 This product is a multi-sampled DW "Classic Rock" drum kit made to be played from Sonic Reality’s Infinite Player. It is a 6 piece kit that was recorded with snares on in a unique stone live room. 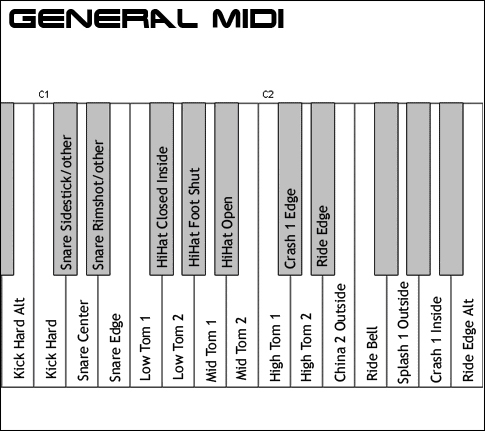 It also has a Yamaha® Sub Kick channel for adding in deep bass. While this kit wasn t modeled after any specific single drummer, its main purpose is to accompany the wide variety of Classic Rock grooves done in the same session. The concept behind this title was to go for a wide variety of signature beats covering a range from the 60's to the 70's to 80's and 90's with grooves in the style of Eagles, Doors, Boston, Doobie Brothers, Pink Floyd, ACDC, Metallica, Pearl Jam and many others. 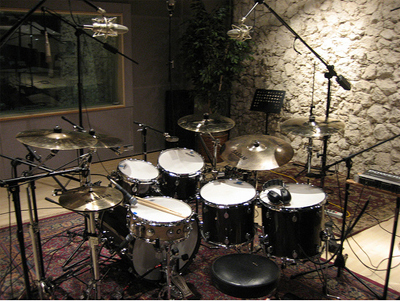 The kit has a unique edge to it with a higher pitched snare that cuts through the mix. The make of the kit and the way it was recorded would suggest it is more of an "80's and 90's sounding" kit, yet it was used in this collection to play in the style of bands going back through decades of rock history. 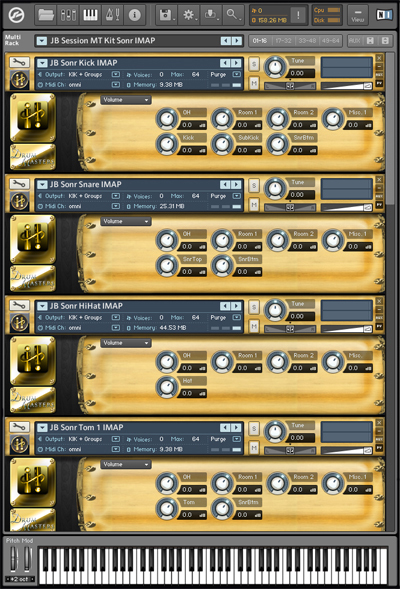 Kit Info: This immaculately recorded drum kit for Sonic Reality's Infinite Player conjures up the sounds of Classic Rock artists such as Jimi Hendrix, Cream, The Doors, Black Sabbath, and more! 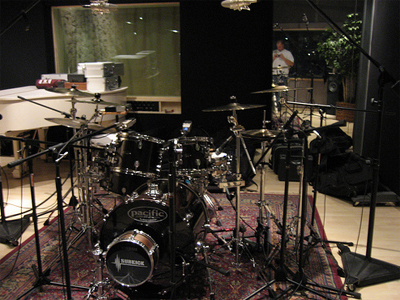 The Classic Rock kit is a professional-quality recording of a six-piece DW drum kit with a wide array of cymbal sizes and types. Turn your tracks into modern classics with the Classic Rock Multitrack Drum Kit for the Infinite Player!